부에노스아이레스의 레스토랑, 쇼핑, 밤문화 지역에서 고급 호텔을 제공하며, Hotel Aeroparque Inn & Suites 숙박시설은 비즈니스 여행객과 레저 여행객 모두에게 유명한 곳 입니다. 이곳에서 생생한 도시의 모든것을 쉽게 즐기실 수 있습니다. 호텔은 코스타 살구에로 드라이빙 랜지, 파크 제네럴 벨그라노, 스프린트 하우프트 같이 셀수 없이 많은 관광지에서 한 걸음 움직이면 편안한 휴식처가 되어 주는 곳입니다. Hotel Aeroparque Inn & Suites 숙박시설은 흠 잡을데 없는 서비스와 필수적인 모든 오락시설을 활기찬 여행자들에게 제공합니다. 호텔의 편의시설 중에는 전 객실 무료 와이파이, 24시간 프런트 데스크, 장애인용 편의시설, 여행 가방 보관, 주차장 등이 있습니다. 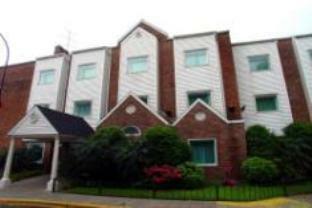 Hotel Aeroparque Inn & Suites 고유의 분위기가 모든 객실에 반영되어 있습니다. 또한, 에어컨, 난방, 책상, 전화기, 위성 방송/케이블 방송 등이 대부분의 객실 내에 구비가 되어 있습니다. 호텔에서 골프장(3km 이내) 같이 독특한 여가를 즐길 수 있는 기회가 많이 있습니다. Hotel Aeroparque Inn & Suites의 전문적인 서비스와 다양한 특징의 매력적인 조합을 발견하실 수 있습니다. For a supposedly good quality hotel does not even supply a teabag suggested I buy one from their resturant as there are no shops in the area I stayed there to be close to the airport for a 6am flight .Not good enough. It sells itself as a hotel close to the airport - and it is. It is odd, however, that they do not do early breakfast - when many customers will be taking early flights. We had paid for breakfast but couldn't eat it because the service didn't start until 30 mins after we left! Poor really. Good service. Great staff, helpful. Easy to access to the aeroparque airport. If you want to find a hotel near AEP airpot, this hotel is a good choice. The room is clean, and worth money staying. Very friendly and helpful staff - most speak good English; nice, clean rooms. Bar with good food. The hotel is some 500 yards from the end of Aeroparque's runway but the rooms are so well soundproofed that you can barely hear the aircraft. The only down-side is that there is an exhibition centre and night-cub in the same complex; this causes severe traffic problems when there is an exhibition, and there may be some disturbance in the early morning (04:00 ish!) when the nightclub closes. Ask for a room facing the airport/golf centre and you will have a good night's sleep.